Frederick W. Madden, 87, of Hudson passed away unexpectedly, on Friday, November 2, 2018, at Norwood Hospital, with his loving family by his side. He leaves behind his beloved wife of 66 years, Mildred A. (Hill) Madden. Fred was born on November 23, 1930 a son of the late Frederick H. Madden and Eunice (Dean) Madden Gilles. 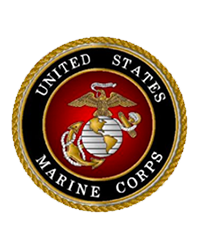 He was a lifelong resident of Hudson, MA and after graduating from Hudson High School, he enlisted in the United States Marine Corps, proudly serving his country in Korea during the war. After returning home, Frederick attended Lowell Technical Institute and earned a bachelors degree in Engineering. Fred retired from New England Telephone in 1985, after many years of service as an engineer. Fred was a devoted family man and true patriarch to his children and grandchildren. He loved traveling around the world and spending the winters in Florida with his wife. He also enjoyed camping and photography. In addition to his wife, Fred is also survived by 5 children, Michael Madden of Hudson, MA, Cathy Granville and her husband William of Norfolk, MA, Carole Ballard and her husband David of Summerville, SC, Aline Madden of Clinton, MA and Ann Marie Chiasson and her husband James of Summerville, SC; a sister, Ruth Levesque and her husband Jim of Duxbury, MA; 8 grandchildren, Stuart, Leah, Alex, and Samantha Granville, Christopher Ballard and his wife Stephanie, Jon Ballard, Jillian Shaw and her husband Chris and Margaret Chiasson and 4 great-grandchildren, Maggie and Grace Shaw and Sydney and Joshua Ballard. Relatives and friends are invited to a period of calling hours from 4 pm until 7 pm on Wednesday, November 7, 2018, at TIGHE HAMILTON REGIONAL FUNERAL HOME, 50 Central St., Hudson, MA. A Mass of Christian Burial will be celebrated at 11 am on Thursday, November 8, 2018 at St. Michaels Parish, 21 Manning St., Hudson, MA; followed by interment in Saint Michael Cemetery in Hudson.